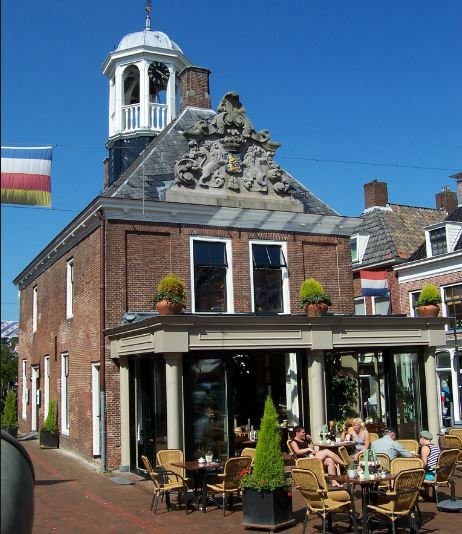 Hotel Dokkum - Are you looking for a nice and original overnight stay in Frisian Dokkum? Then book a room on a hotel ship. There are ships available for bed and breakfast or hotel, this is an original and fun way of spending the night on a weekend trip or family outing. In the winter, ships that sail summers across the Wadden Sea and IJsselmeer, settle in the city. After an eventful day it is a great home on one of the Sleepers in the harbor. If you are two, you are ahead less than 40 euros do you already have a bed! It is a great way of staying overnight during a city break or weekend away. You sleep on a ship with an atmospheric salon as a central center. A comfortable and made-up bed awaits you in your cabin. And there is one in the morning delicious breakfast ready for everyone in the salon. When the weather is nice, you can drink a cup of coffee on deck while looking out over the water. And you have the time, because check out is not until 12.00 hours. A special and original night aboard a hotel ship. Our sailing charter ships come in various shapes and sizes. From fast sporting ships to beautiful atmospheric accommodations. In addition to bed and breakfast, the ships are also extremely suitable as group accommodation for groups of friends, family and colleagues for, for example, family celebrations and company presentations or outings. If the ideal ship is not listed. Then we can ship from sailing into other places show that the accommodation capacity is increased. Do you have specific wishes to book the ideal accommodation or other questions? Then you can not hesitate to contact us. 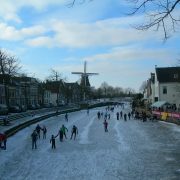 Dokkum is a small town with a great history. In 1298 was Dokkum after Stavoren, Harlingen and Ijlst as city duties fourth city of Friesland. It has ever been an international trade city, a City Admiralty. 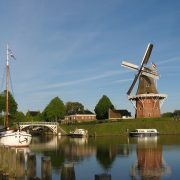 Dokkum especially enjoys international fame because 754 Boniface, the missionary canonized, was slain near Dokkum. Dokkum has urban feel with the clarity of the village. It has historical highlights and contemporary amenities. There is much to do for kids, but also many places that will captivate adults. 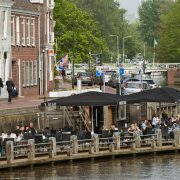 The cozy center of Dokkum invites to cozy drink in one of the many cafes. Dokkum also has its own theater, called Sense. 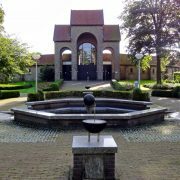 Every second and fourth Tuesday of the month Sense transformed into Filmhuis Dokkum. In the center of town are two historic churches: St. Martin or Great Church and the Roman Catholic Church. There are regular Dokkum Sunday shopping and supermarkets are open every Sunday. There are also regular Sunday afternoon concerts in the city. The music, full terraces and a cozy atmosphere make this city even fizz on Sunday. Visit the museum page for surrounding museums.